Particle & Surface Sciences presents a range of air quality monitoring solutions for hospitals and operating rooms by Lighthouse Worldwide Solutions. A world leader in monitoring critical environments, Lighthouse offers air quality monitoring solutions and instrumentation that detect changes in healthcare environments, providing timely information, notification and warnings to assist in identifying contamination sources and help reduce infection. Operating continuously with varying levels of occupancy, healthcare facilities are some of the most critical environments that demand continuous air quality monitoring, with 5-10% of patient admissions acquiring a secondary infection during their stay. Aging HVAC systems for instance, can become compromised and act as a reservoir and distribution system of contamination that contributes to the spread of infection. Medical and pharma environments that require Lighthouse’s air quality monitoring solutions and instrumentation include surgery rooms, pharmacy and formulation rooms, emergency room, fertility clinics, blood banks, tissue banks, medication storage, transport, warehouse, laboratory, radio pharmacy facilities, food service and stem cell banks among others. 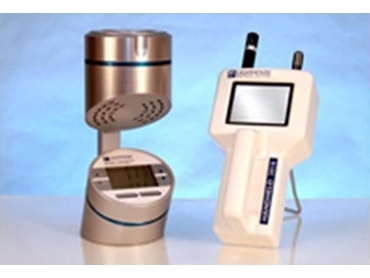 The air quality instruments monitor multiple parameters including room temperature and relative humidity, differential pressure, particle counts, freezer temperatures, incubator temperatures and door openings, oven temperatures, medical gas pressures and purity, air velocity, microbiological air and surface quality as well as door opening and closing in critical environments.